Budapest calls itself the heart of Central Europe. It has influences from both the East and the West, yet stays true to its own character. 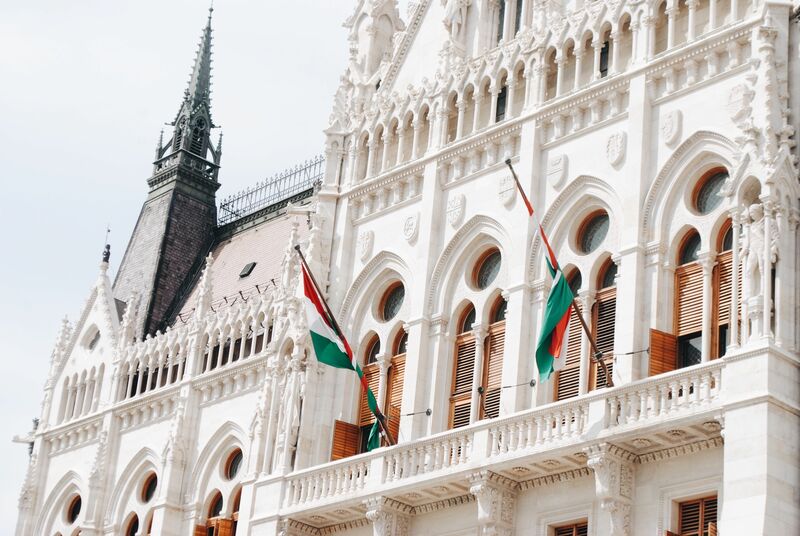 With so much to experience in this capital city, here are 14 reasons why we should all move to Budapest. 1. The architecture is stunning and diverse. The best Hungarian advice I’ve received is this: watch your step, but don’t forget to look up. It’s true. A stroll through the city may include dodging crumbling buildings, missing sidewalks, and unsupervised construction zones. But don’t forget to look up, as the city is filled with endless character: gothic revival, art nouveau, neoclassical, Ottoman… and even an entire network of Roman ruins. The city is a giant outdoor museum, and you can easily spend hours ducking into side streets, courtyards, and alleyways, admiring the intricate work of each individual facade. 2. Budapest was the European capital of cafe culture. When you think of the best European city for a romantic cafe, you might visualize Paris or Vienna. But, in fact, it was Budapest. Viewed as gossip hubs by oppressive governments, all cafes were closed during the Nazi or Communist occupations, but many have been reopened and restored. These buildings are beautifully historic and elegant, transporting you back to the turn of the century as you sip your cappuccino and ponder life. 3. Grocery shopping is fresh, healthy, and local. The most famous market is the Great Market Hall, a busy attraction for tourists. But don’t be surprised to also see locals carrying woven baskets filled to the brim. That’s because markets are a staple of Hungarian life, and you can find at least one in each district of the city. There is almost no need to shop at grocery stores; rather, you can get your produce, meats, cheeses, baked goods, and even liters of wine from a fresh, local market, where you know the sources. You’ll notice the difference in taste and quality immediately, and your interactions with the proprietors will be equal treasures. 4. The food is a blend of indulgence and elegance. Traditional Hungarian food is a pure comfort: heavy, hearty, and delicious, full of meats, potatoes, cheeses, and pickled vegetables. Street food staples include lángos (fried dough topped with garlic and other goodies); kürtőskalács (chimney cakes); and töltött káposzta (stuffed cabbage rolls). Bakeries line the streets, tempting each passerby with sweet breads and pastries. And in the summer months, Hungarians live for refreshing chilled soups and seasonal treats and gorging on as much fruit as they can handle. 5. 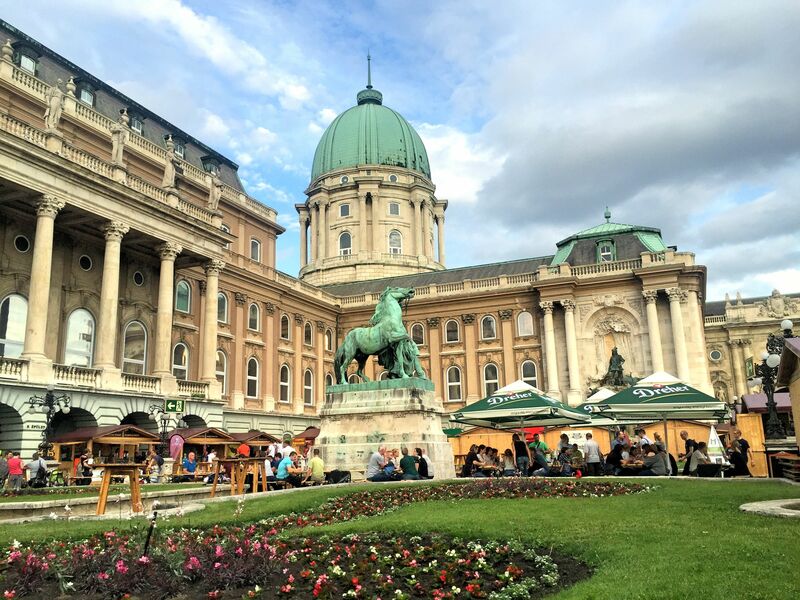 The Danube river inspires curiosity, awe, and relaxation. The Danube River flows the through the heart of the city The river plays its important role, separating what was once three – Buda, Pest, and Óbuda. The city is connected by a network of shimmering bridges, each one with its own style and history. At any given moment, the waterway is buzzing with activity: ferries, taxis, tourist boats, cruises, kayakers. But the river truly shines at night, reflecting the lights, and painting the city in a romantic glow. Strolling the waterfront and admiring the sheer beauty of Budapest never gets old. 6. Find shade and entertainment in the many parks. The city is definitely a concrete jungle, but it’s easy to find a reprieve in one of its sprawling parks. The most popular and biggest parks (City Park, Margaret Island, Gellért Hill) have so much to offer, such as museums, monuments, festivals, musical fountains, lavish gardens, yoga classes, running tracks, hiking trails, a zoo, and even thermal spa baths. 7. An amazing view is steps away. Buda is the hilly side and Pest is the flat side. Because of those famous Buda Hills, you don’t have to walk too far to score a magnificent view of the city. Sip wine and watch the sunset on a rooftop terrace; stretch your legs up Gellért Hill, where it feels as if you’re on top of the city; or spend the weekend enjoying the vast trail network through the dense forests, and summit one of the famous wooden and stone lookout towers. 8. Wine, wine, and wine. Hungary may be a small country, but it has 22 distinct wine regions, including one in Budapest. 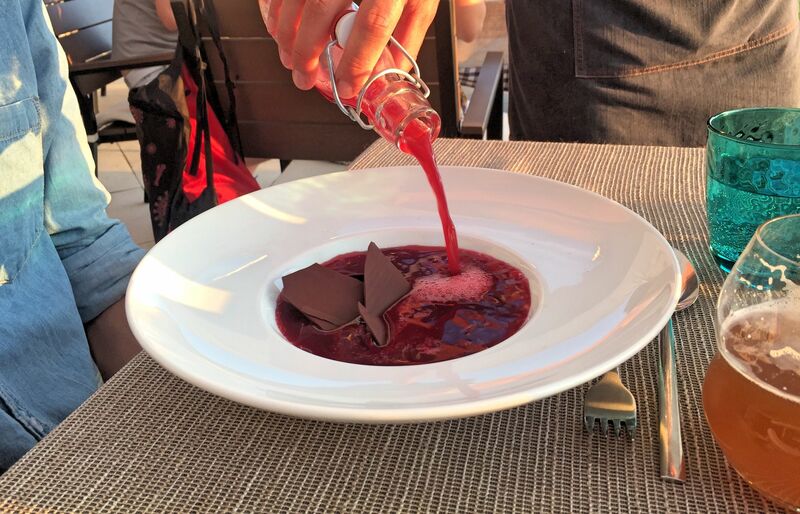 Whether you prefer dry, sweet, red, white, dessert, or sparkling, there is no doubt that you’ll be satisfied. Further, the capital city embraces and celebrates the country’s wine heritage, hosting many different festivals throughout the year. Or, explore this vinous abundance every night at wine bars and terraces where you can taste before you order. Hungarians are proud people who hold tight to their traditions. Acclimating to the culture can be a bit challenging, but also very rewarding once you get to know your neighbors. You best say hello, to everyone, each time you enter a shop, a restaurant, or even the doctor’s office. Take a stroll through the streets each Sunday and you can’t miss the sounds and smells of the traditional family meal. And make sure you take time out of your day to meander with an ice cream or indulge in an espresso and slice of cake. 10. Transportation is easy, convenient, and historical. Getting from point A to point B has never been so fun. Budapest has your typical network of public transportation, including buses, trams, a metro, and commuter trains. But you can also ride trolleys, a cog railway, river taxis, and even a funicular. Tram #2 is considered one of the most beautiful trams in Europe, as it follows the river along the UNESCO Danube Promenade. Hungary even won the European tram driving competition last year, so you know you’ll get to your destination quickly and safely. 11. There’s a festival (or two) almost every week. There’s really no reason to plan your weekends. Hungarians know how to celebrate, and the city hosts more festivals than weeks of the year. These festivals range from music to art to film to wine to folklore. Listen to music all week long at the Sziget Festival, or sip wine under the dazzling lights of the Castle Hill, or get cultural at one of the historic theaters and watch films from around the world. 12. 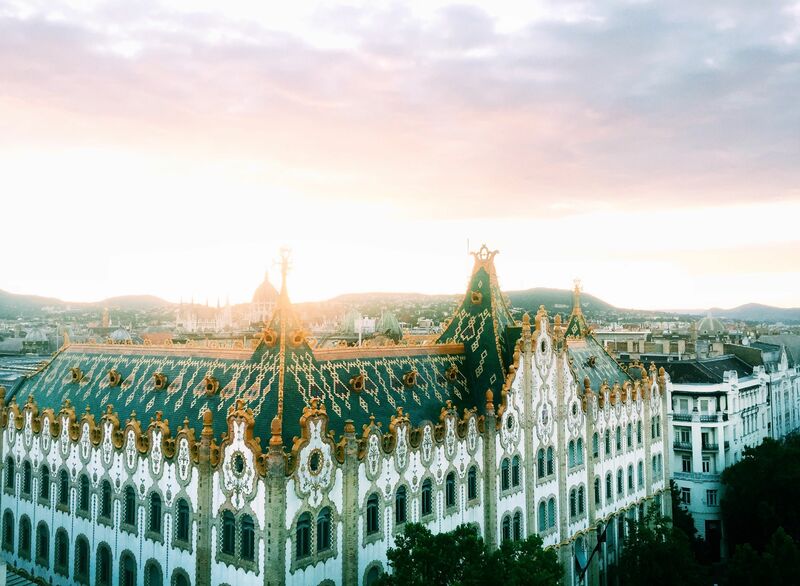 Budapest is for the young… and the old. Budapest is simultaneously hip and nostalgic, energetic and leisurely, loud and quiet. It doesn’t matter what your taste is; there is something for everyone. You can spend your day at a dusty music festival and dance at a club until dawn, or you can enjoy a performance at the opera followed by a leisurely dinner at a century old cafe. The choice is yours, but the option is always there waiting for you. 13. Day-trip options are endless. Living in Budapest means that another city, region, or adventure is only a train-ride away. The quaint Hungarian village is like a secret, startling you with its humble aesthetic and friendly people. If you need a nature fix, explore the villages along the Danube Bend, visit Eger for wine cellar hopping, or act like a true local and spend your weekends at Lake Balaton swimming and sailing. The country is also surrounded by seven international borders, so traveling to other cultures is easy and affordable… that is, if you ever really want to leave your beloved Budapest.